Feed the Baby Hummus teaches parents to confidently incorporate various multicultural practices into their own caretaking plan. Pediatrician Lisa Lewis offers the wisdom and proven caretaking practices of the cultures of the world, drawn from her own training, research, travel, and clinical experience. Although certain standards of care must exist for babies to thrive and be happy, Feed the Baby Hummus offers a variety of cross-cultural parenting information and baby care guidance from a trusted source. Every part of the book affirms the parents' rights to make their own choices. It offers wide-ranging ideas and practices, but more than that, it offers confidence in parental judgment. This is refreshing in a time when so many discussions of infant parenting are fueled by extremes - never do this; you must do that. 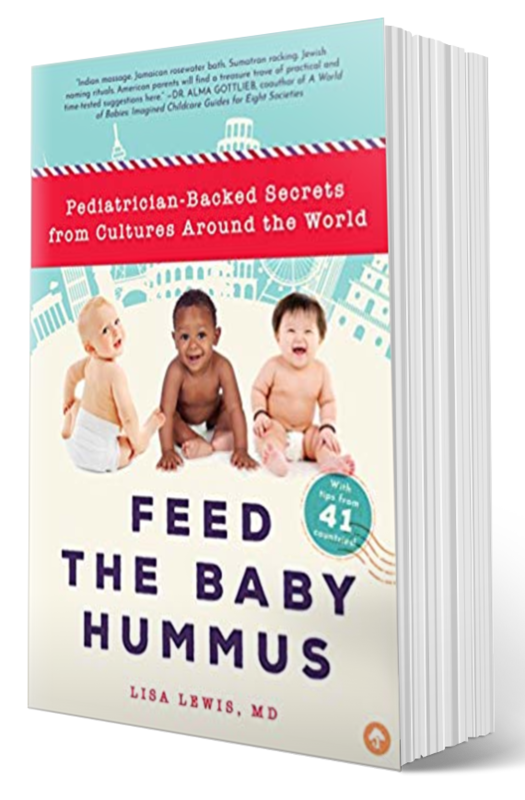 Feed the Baby Hummus is a guide to nurturing happy, healthy babies that goes beyond conventions.